NORWAY — Mary J. 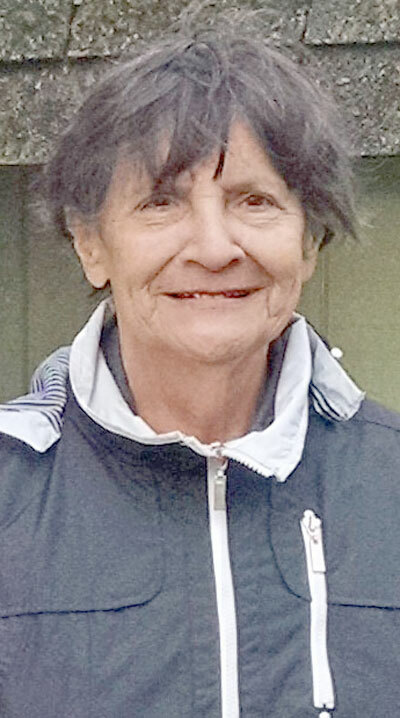 Quick, 75, of Norway, passed away on Thursday, July 19, 2018, at Medilodge of Munising in Munising. Mary was born April 9, 1943, in Nahma. She was an Iron Mountain High School graduate and went on to earn her associate degree. Mary married James Quick and they owned and operated a sheet metal shop in Illinois and locally the Dawg Hawg restaurant for several years. Together she and Jim raised three children. In retirement they enjoyed spending the winters at their home in Seminole, Fla. Jim preceded her in death on Dec. 8, 2015. Mary loved to travel. She enjoyed bowling, taking trips to the casino and visiting with family and friends. She especially enjoyed spending time with her children and grandchildren, playing cards and board games. Mary is survived by her children, Candi Quick of Norway, Timothy (Cindy Nanninga) Quick of Kingsford and Lily (David) Anderson of Breitung Township; her father, Orville Brooks of Breitung Township; brothers, Raymond (June) Beaver of Toana, Va., William (Joyce Jensen) Beaver of Bear Lake, John (Mary) Brooks of Spread Eagle, Wis., and Gary (Caroline) Brooks of Breitung Township; sisters, Donna Brooks of Florida, Myra Brooks of Breitung Township and Shannon (Myron Secrist) Brooks of Breitung Township; grandchildren, Nicholas Baril, Anna Baril, Casey (Ken) Sheldon, James Quick, Kyle (Jennifer) Anderson and Kari Anderson; great-grandchildren, Jackson, Colton and Alexis. She was preceded in death by her mother, Judith Brooks; two sisters, Clara Roussain and Lucy Zimmerman; and her biological parents, Fred and LaVerne Beaver. In accordance with Mary’s wishes, there will be no funeral services. Burial will be in the Quinnesec Cemetery. Condolences to the family of Mary Quick may be expressed online at www.ernashfuneralhomes.com.